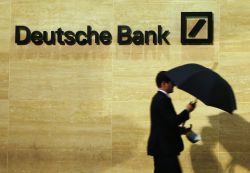 Lawyers acting for Jyske and Landsbanki banks, Plazas Abogados in Sotogrande, helped former International Monetary Fund (IMF) Rodrigo Rato evade Spanish taxes. Operating out of their Sotogrande offices, Mr. Domingo Plazas set up a Spanish/Gibraltarian opaque corporate structure to conceal the ultimate beneficiaries. Until a few days ago, Rato’s company was domiciled in the offices of Plazas Abogados, in Sotogrande. The choice of law firm could not be a coincidence: both Jyske and Landsbanki orchestrated a tax evasion scheme, the Equity Release Scheme, that was sold to hundreds of pensioners by falsely attributing it Inheritance Tax benefits. The Spanish Tax Office ruled in 2013 that such scheme was illegal.